Mars Bank supported Thanksgiving on Every Table through staff and customer donations of food and money. 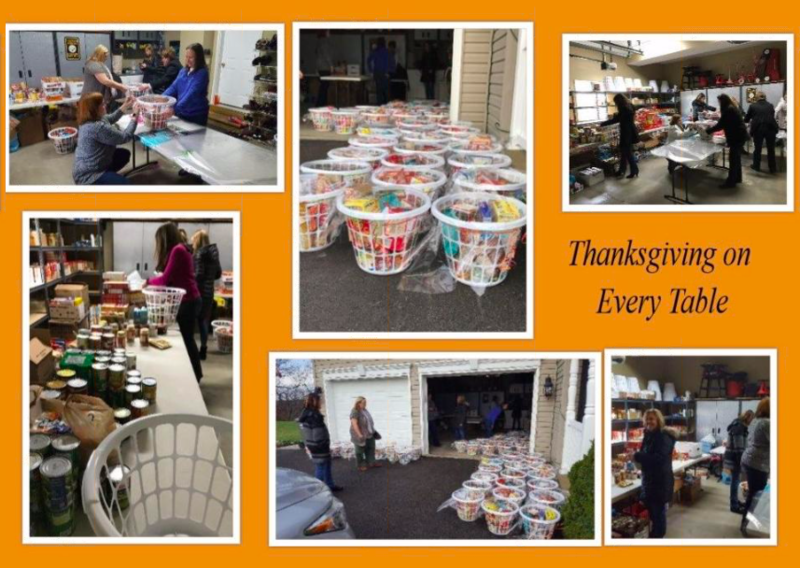 The program delivers Thanksgiving baskets to families in the Mars, Pine-Richland and Thomas Village communities. Thanksgiving baskets were delivered to 62 families in Thomas Village. In December, the remaining food was distributed to an estimated 40 families in the Mars school district, 30 families in the Pine Richland school district, 60 families living in Thomas Village and about 40 families in a veterans’ community in Highland Park. In addition to food baskets, Thanksgiving on Every Table include a gift card in each basket. Thanks to the generous donations of Mars Bank, its staff and customers, every basket included a gift card.